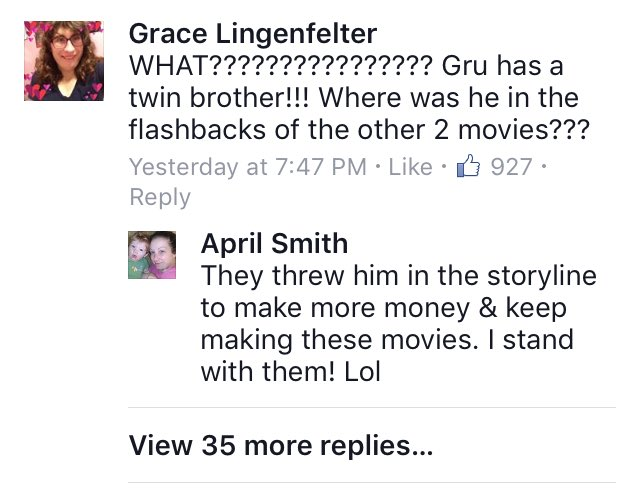 Despicable Me 3 is coming soon. Fans, until this point, have welcomed the news with trepidation. 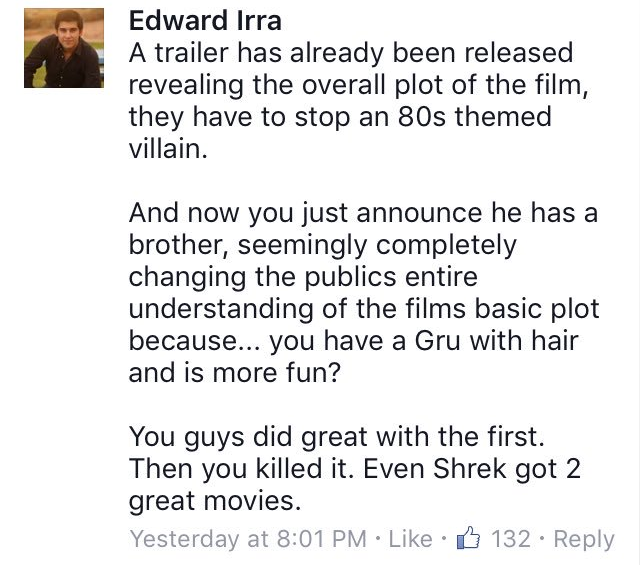 They loved the first two, but worried that they might do a Shrek 3 in the third film, and go massively down hill. 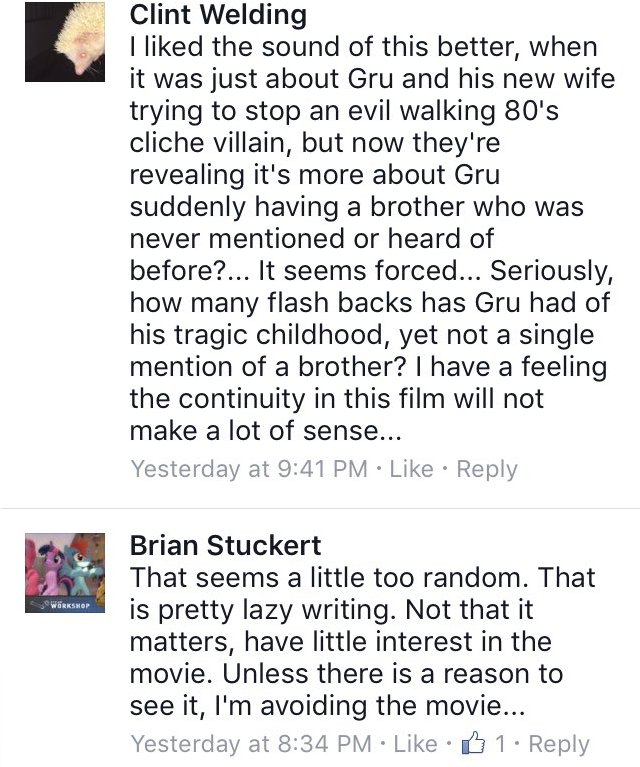 But then this trailer for Despicable Me 3 dropped, and it's all been kicking off in the fan groups since then. 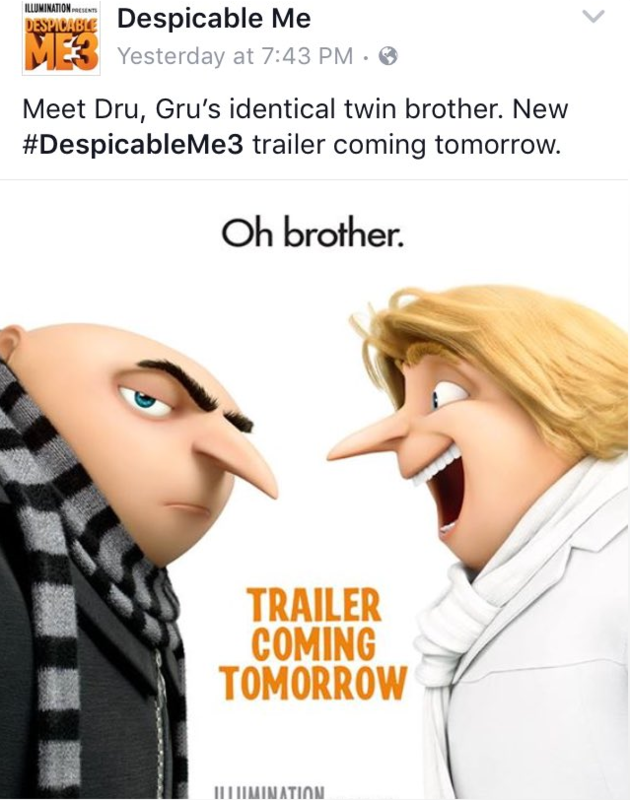 The official Despicable Me page posted the trailer and an accompanying official poster for the film on Friday. The fans appear to be extremely irritated by the sudden and unexpected introduction of a previously unmentioned brother. And boy are they angry. Most of the comments have since been deleted by the page, or by the users themselves. But they were screen-grabbed by another fan, and posted to twitter. Where it's all kicked off again. @acornfriend Did they just adapt Uncharted 4 into a movie? Although some people are excited by the possibilities. @acornfriend this is like shrek 3.